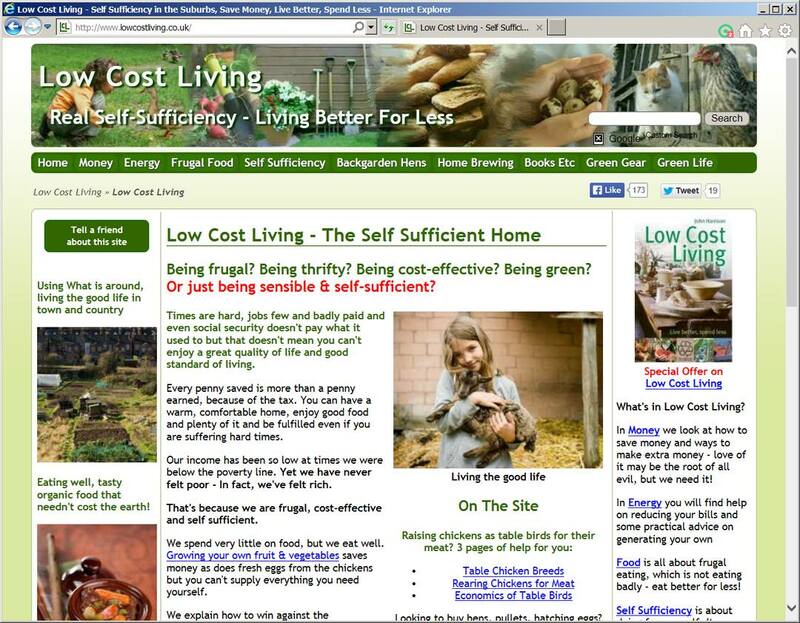 The low cost living web site was started by the owner of Down the Lane, one of our clients but purchased by us as the title fitted with a book we published called Low Cost Living. 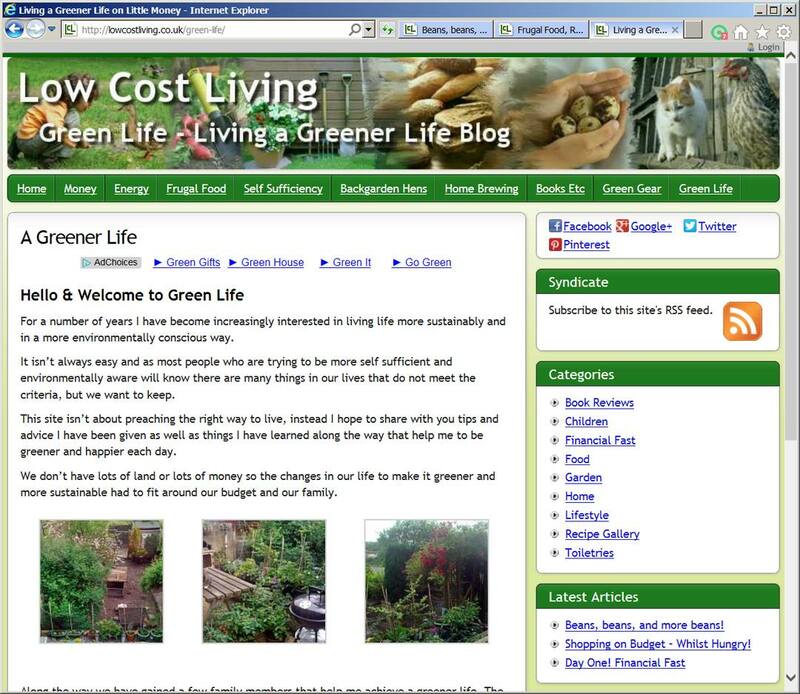 The book is more about self-sufficiency and green living than purely financial but the web site reaches a wider audience and contains more financial and money saving advice than appropriate for the book. 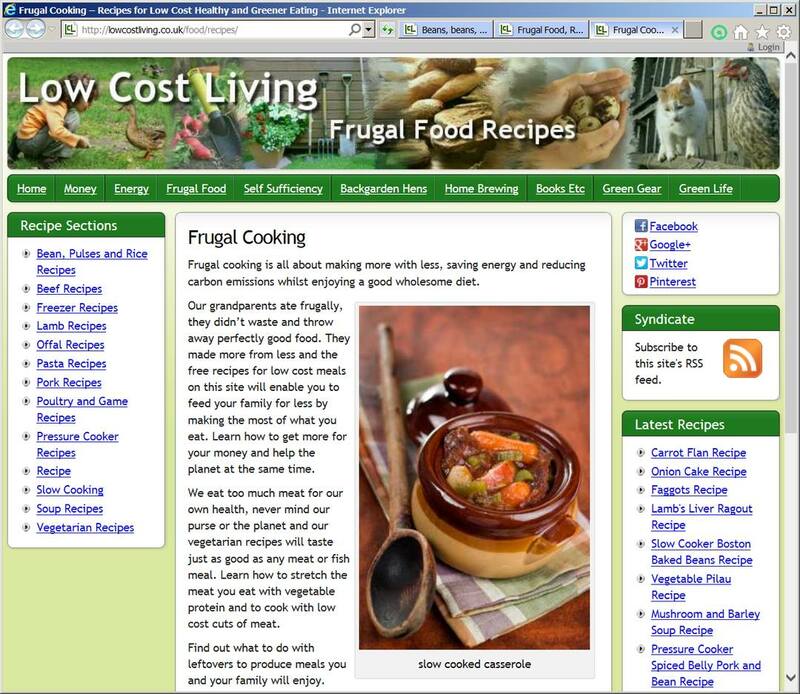 We were developing a site on frugal cooking which was incorporated into Low Cost Living as frugal food recipes and, as the site has information on keeping chickens, it shares the poultry breeder listing database with The Poultry Pages. One surprisingly popular area has been the home brewing and wine-making section which includes recipes for country wines. 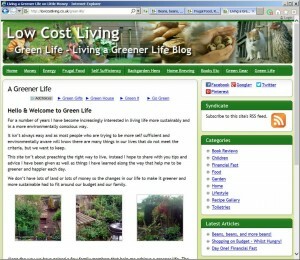 There is also an affiliate shop and a blog – Green Life about living well and sustainably on a low income. 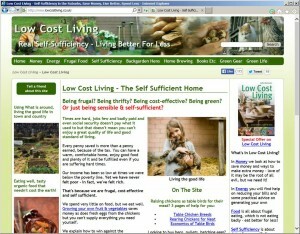 Low Cost Living receives around 50,000 visits per month from 30,000 unique visitors and serves around 90,000 pages. Baking and cooking from scratch are important life skills that also offer an opportunity for children to learn by reading, weighing, and making themselves. 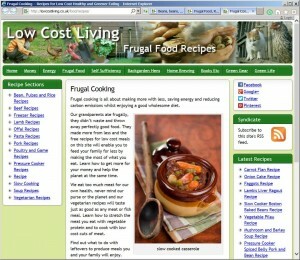 The post Baking and Home Education appeared first on Low Cost Living. This is the latest version of this website and there's more to come.